Northwest National Real Estate: Price Reduction! Motivated Seller Says Bring Offers! Price Reduction! Motivated Seller Says Bring Offers! Rocky Mountain property for sale with year round access and amazing views near Boulder, Montana. There is a Barn/Shop with a loft and a Camp Trailer with addition on this property and power is already on site. If you’re looking for privacy this is the location for you. This prime real estate is on the end of the road, this is why you will see so many Elk and Deer on this property. The Boulder River is just a few miles away and is fantastic fishing! 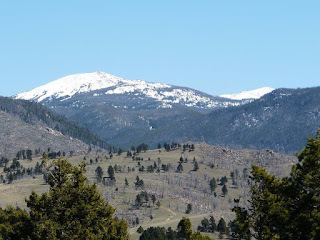 Thousands of acres of National Forest and other public lands are close enough to ride a 4 wheeler, hike, hunt or horseback right from this property. It’s a sportsman’s dream! There is an small internet Tower/Transmitter located on the property with the sellers getting $125 per month and free internet and so will the new owner! This is a once in a lifetime opportunity to own a property like this, you won’t find another one like it!!! Reduced to $79,500 Call Scott Joyner today to schedule a private showing, 406-223-6039.